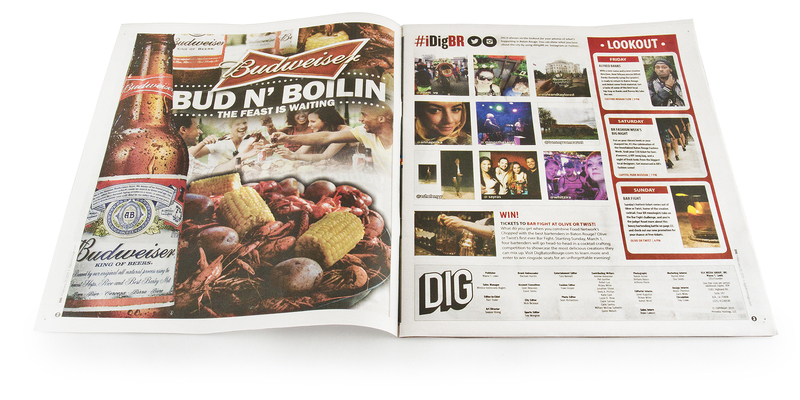 DIG Magazine showcases the people, places and things that make Baton Rouge such an unique place for the 18-44 demographic. From LSU football to the burgeoning dining scene and live music to downtown living – DIG is the premier source for the very best the city has to offer. DIG is led by a team of talented creatives who craft content that captures the attention of our readers with a mix of style and focus. It’s is the voice for college students AND young professionals. Published monthly. Our audience is the vibrant, active 18-44 demographic – the largest and fastest growing in Baton Rouge. Our readers are educated and have good jobs. They are the must-have local consumers who can make your business thrive. No one delivers this quality audience better than DIG Magazine. DIG is the evolution of Tiger Weekly which started in 1997. It’s the #1 way to reach LSU students and young professionals in Baton Rouge. 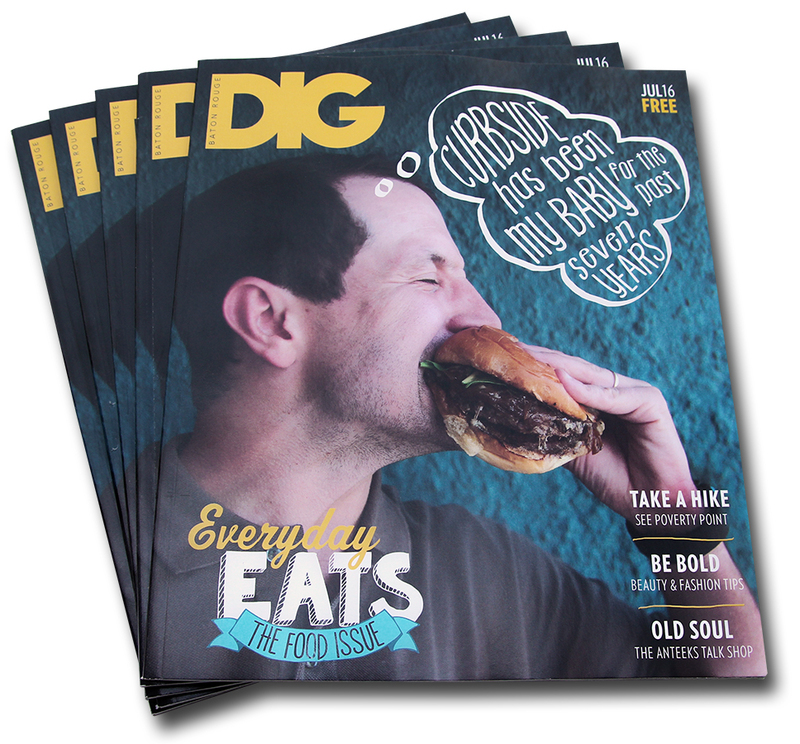 DIG is the ‘fun brand’ of Baton Rouge. We bring readers and clients together for great parties and events from Restaurant Week to Mug Nights and exclusive tastings. DIG reflects trends and helps set them. It’s where brands come to tell their story to the city’s active consumers.